Designed for use in tanks, enclosures, cabinets, housings, dairy, transportation, architectural, chemical and food processing industries. Categories: Architectural, Chemical, Construction, Food & Dairy, Food Processing, Medical, Oil & Gas, Stainless Steel, Tee Bar, Transportation. The 304L stainless steel tee bar is a metal that is widely used in different industries, which include chemical, paper, food, dairy, beverage, aerospace, automotive, and architecture. It has use for many different applications within these industries. This is due to its low content of carbon and high content of chromium (18 percent). It is also alloyed with 8 percent nickel. It is known for being the standard stainless steel that’s frequently used for cooking tools and saucepans. Because it has great drawability, it can be deep drawn into kitchen sinks and other equipment. Alloy 304 is one of the most versatile of the stainless steel metals, making it an ideal choice for commercial and home applications. Being a chromium-nickel alloy, 304 stainless steel is capable of resisting high heat, rust and intergranular corrosion. Because it has a low level of carbon content, it is considered safe for use in most welded construction operations that use service temperatures that have an 800 degree F limit. In order to boost the hardness and tensile strength, cold working can be performed. This metal can’t be made hardenable using heat treatment. When in annealed condition, 304 alloys are non-magnetic. This can slightly change when it is cold worked. 304 steel alloys are mainly used for parts that need to be grinded, welded, machined, or polished. 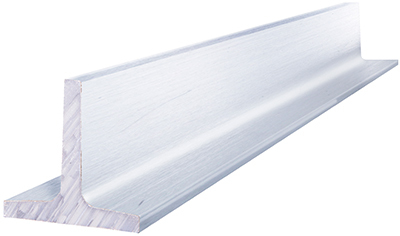 It has great forming, drawing, and stamping properties, making it a great all-purpose steel for general use. The machinability rating of this alloy is 45 percent of B1112. The recommended forging temperature should be between 2100 and 2350 degrees F. It’s not recommended to forge this metal in temperatures beneath 1700 degrees F.
Additional Resources – The below information is available upon request and with your order. Why Doesn’t Stainless Steel Rust? What Type of Welding is Used for Aluminum? Wayne State Warrior race team – Future Engineers! © 2019 Copyright. Clinton Aluminum | All rights reserved.